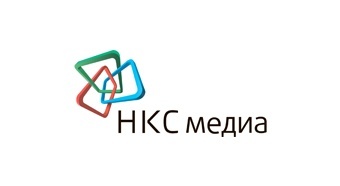 The company "NKS Media" (part of the OJSC "Rostelecom") is engaged in the production and distribution of thematic channels. The structure of "NCC Media" includes round the clock channel "Mother and Child", "24 Techno", "24DOK", "really scary Television" and "Amusement Park". To date, according to TNS Russia, TV Index Plus, the total accumulated coverage of television channels "NCC Media" reaches 35,001,300 people (Electronic measurement, Russia (100 000+ cities), 01.08.2013-31.10.2013, full day, Population 4+). TV channels are distributed on the territory of Russia and CIS countries in batches largest cable and satellite operators - "Rainbow TV", "tricolor", "Acad", "Beeline", "Stream", "ER-Telecom", "Ufanet", "Volya- cable "," Alma-TV "," Kazakhtelecom "and others. TV channels "Mother and Child", "Amusement Park", "24DOK" and "24 Techno" are included in the expanded benefits package available to residents of about 3 million. Apartments in Moscow and 1 million. Apartments in St. Petersburg.